Onésime Pouliot Farm is devoted for over 25 years to grow products of outstanding quality and stands out due to a perfect balance between tradition and innovation. Strawberries are divided into two separate categories: short day strawberries, also known as june-bearing strawberries, and day neutral strawberries, also called everbearers. We are proud to offer you your favorite fruit from June to October. These plants are made for a raspberry, soilless production. They are sold in pots and the fruit production is made under high tunnels. This new technique gives producers better yield than classic field production. 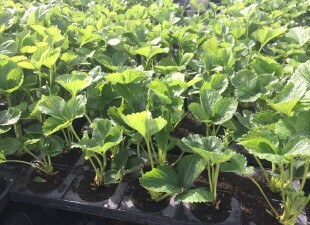 These plants are mainly dedicated to strawberry producers. 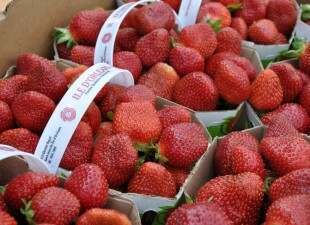 They are used to get an early harvest in the spring and satisfy consumers before the arrival of the conventional june-bearing strawberry at the end of June. 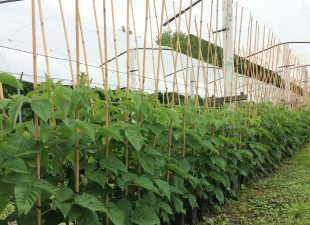 Raspberries produced on the farm come from an innovative cropping system. 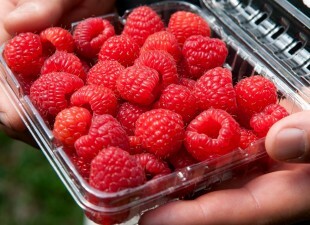 Due to improved production techniques over the years, we can now offer you raspberries from mid-July to mid-October. 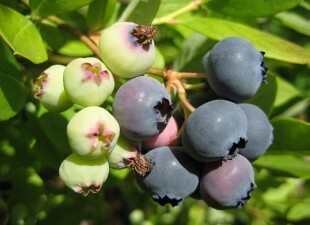 Our blueberry production extends from the end of July to the end of August. During this period, you can find our products in many local grocery stores. 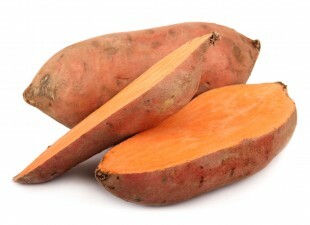 Since 2001, Onésime Pouliot farm stands out by being the only sweet potato producer who sells on a commercial scale in the province of Quebec. It is possible to find them in all IGA supermarkets between October and March. Products offered by the farm meet the highest quality and taste standards. Their colour, texture and taste are delightful! If our produts are not available at your local grocery store, ask for them! It is also possible to get our fruits directly at the farm, located on the beautiful Île d'Orléans.